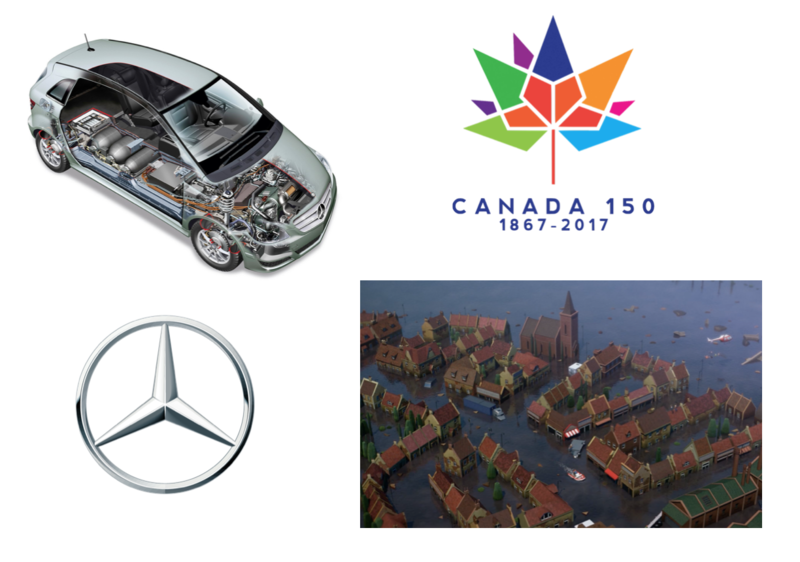 Develop a digital artifact for Mercedes-Benz Canada’s (MBC) contribution to the German pavilion at the Canada 150 celebrations that took place in Ottawa, Canada in 2017. The theme of the German Pavilion was "Partners from Immigration to Innovation". It was a showcase of Canadian-German cooperation in the business sector. 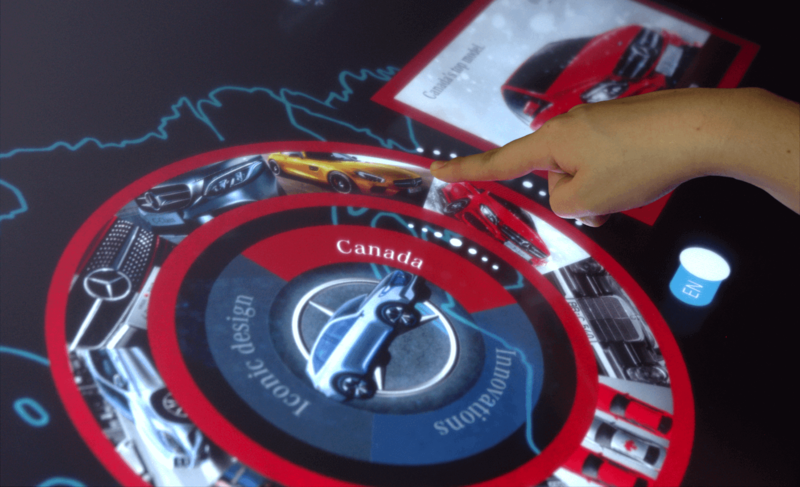 65" multitouch Ideum table featuring an interactive map of Canada. 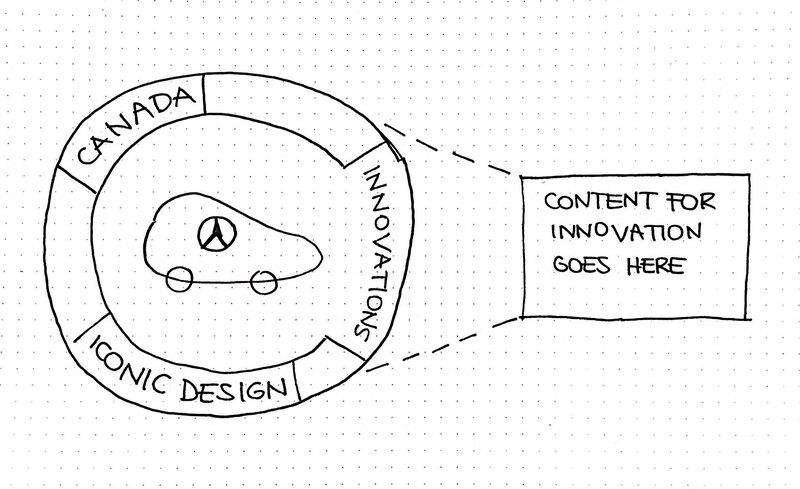 The map has three focal points at the core of the story: Environment, Collaborate to Innovate and F-Cell Technology. Each of the focal points has sub-stories that connect the dots on the map, giving visitors insight into how Mercedes-Benz is developing hydrogen cars. In total the map has six nodes: Climate Change, Amazing Canada, Mercedes-Benz (General), Mercedes-Benz in British Columbia, F-Cell 101 and Partners. 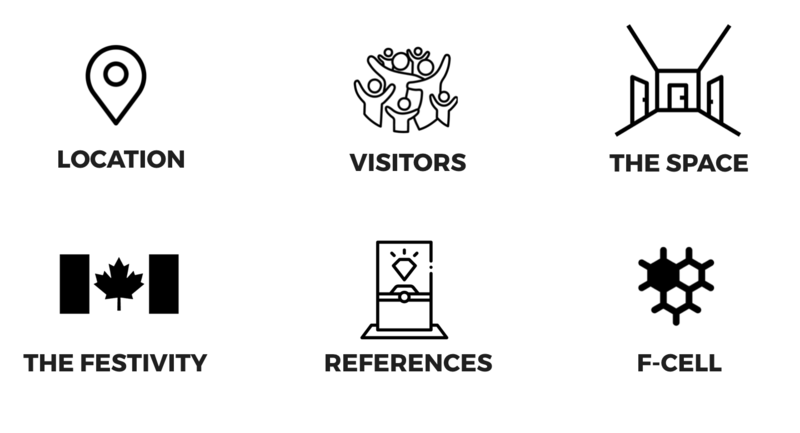 During the research phase I got a better understanding of the following variables as it was important to take all of them into account when making a proposal for the experience my team would develop. In this stage we considered different options which included: a) an interactive map of Canada b) an interactive wall to highlight the role of Mercedes-Benz's Canadian partners and c) a maze game where users would help the hydrogen travel through the car to become fuel. After evaluating pros and cons of each option, the space we would have for our product and feedback from the client, the chosen option was the map of Canada. In this early prototype, cars were used explore Canada. 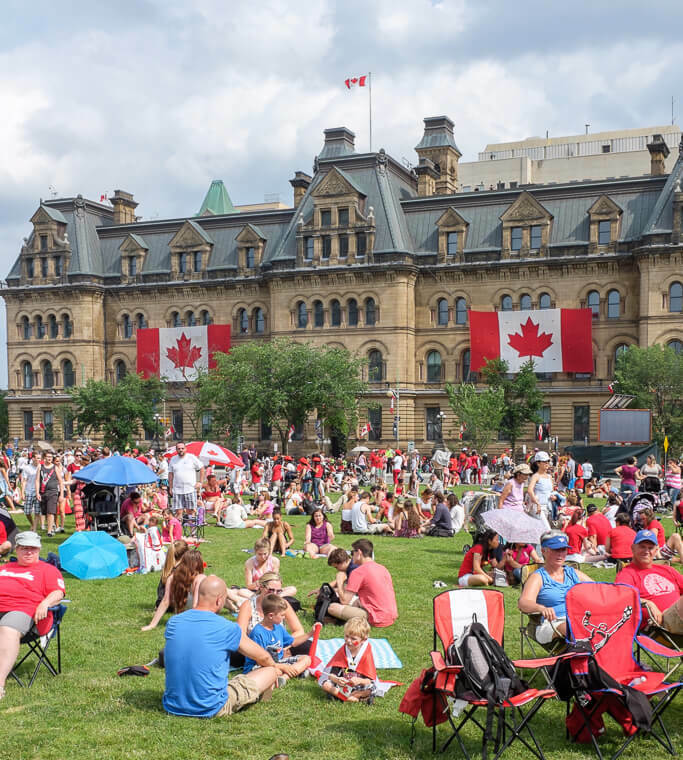 Users could go anywhere in Canada and upon arrival they would see interactive information of each province or city. Based on the findings of the previous stage, we decided to move from location based content for the map of Canada to topic based content. In this stage we developed a prototype with higher fidelity in order to test the core interaction: using cars to navigate to nodes of content. Testing prototype #2 using a Microsoft Surface as a proxy for the actual touch table. What about the rest of the nodes? Most of the other nodes were simpler than the Mercedes-Benz General Node therefore the design process was slighty shorter. However, for all nodes I started by sketching out my ideas. 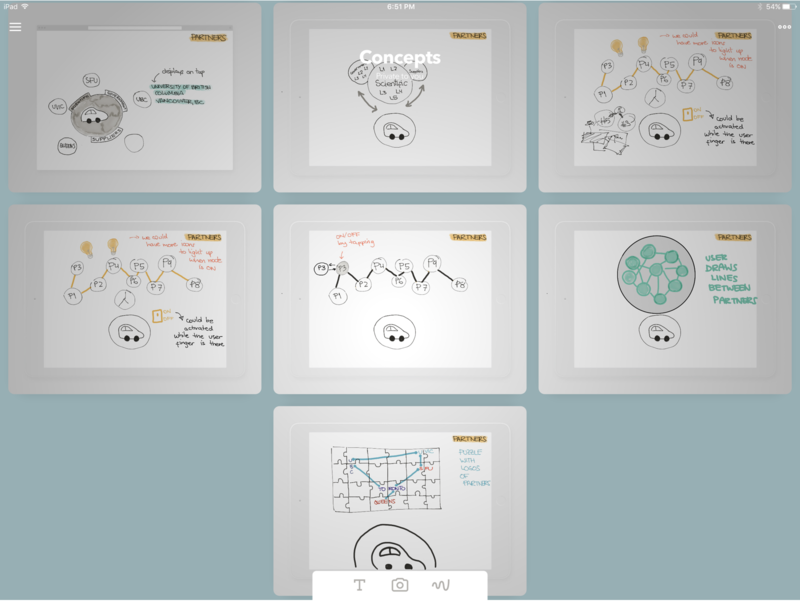 Example: Sketches for the Partners node. Once design was ready for all nodes and my team had finished building them we were ready for the last batch of user testing. We were lucky enough to get the touch table shipped in time for us to conduct testing with it. User testing with 65" Ideum touch table. What should happen when cars crash? 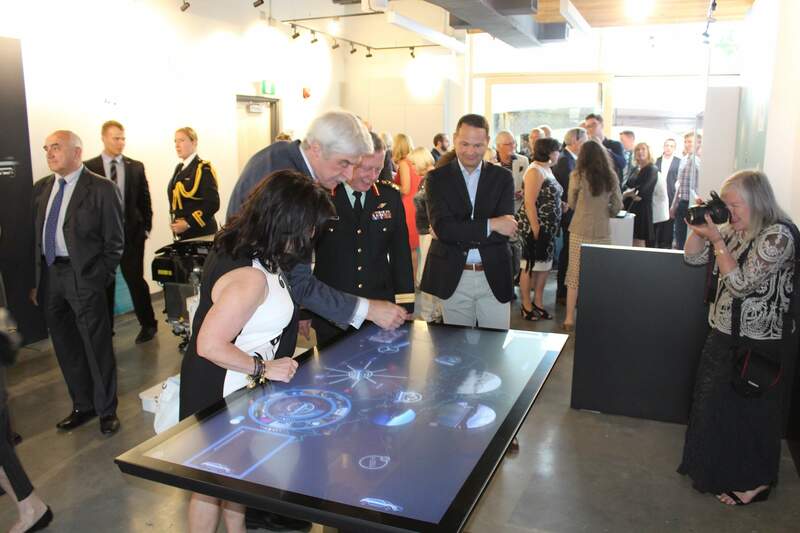 Touch table live in Ottawa. German military interacting with the experience we created.